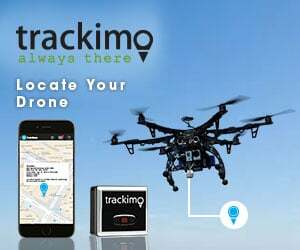 Looking to connect with people in the drone world? It can be tricky to find dronies out in the world, but there are loads of online drone communities for any type of drone pilot. Are you a photographer? How about a policy wonk? Just looking to make some friends? There is an online community for you. UAV Coach Community forum: This is one of my favorite forums for active discussion on general drone questions. The forums are broken down by industry, type of drone and more. The community forum is run by Drone Pilot Ground School creator Alan Perlman. NODE – A Drone Pilots Advocacy Group: For people interested in law and policy around drones, the Network of Drone Enthusiasts (NODE) is a fairly new grassroots group dedicated to representing drone pilots across the U.S. and Canada. While the FAA regulates the airspace in the U.S., many cities, counties and states have implemented additional regulations which can be difficult for drone pilots, and sometimes even conflict with FAA rules. The group is intended to give drone organizations a voice to collaborate with local legislators on developing reasonable and effective drone regulations that encourage drone use while protecting public safety. It’s worth noting that this group was launched by drone manufacturer DJI, which means there is likely some bias behind the intent of the group (to make sure you’re able to buy more of their drones, of course!). AirVuz: Videographers should join AirVuz, a community of people looking to watch or upload aerial videos. The site also has donate and hire me buttons, for videographers who fly drones commercially. The community also has a pretty strong drone-racing slant, for people interested in racing or freestyle drones. SkyPixel: For photographers, SkyPixel is a community centered around aerial photography. Members can upvote each other’s photos, and experts are ranked based on votes. SkyPixel also holds an annual photo contest for its members, and the competition is pretty fierce. SkyPixel is run in partnership with DJI. Meetup: Meetup is actually how I found my first drone friends! Meetup is a site that organizes people from different cities based on different interests, and there are loads of drone-related meetups. There are drone policy meetups, drone racing meetups, drone building meetups and more! Search meetup for a drone group near the city you live in. While you can chat in the group, you’ll probably end up meeting up with the membersIRL! I didn’t know anyone who flew drones in my area, so I searched my city for the word “drone” and found a super awesome group! What online drone communities are you a part of? I know there are loads more out there, so let us know which ones are your favorites. Leave a comment below! Definitely CRPAA, Certified Remote Pilots Association of America! I never heard of most of those, apart from meetup.com of course, oh and i have seen Airvuz before. I love the name Amelia Droneharts though! I really like DIYDrones, RC Groups is another good one. PhantomPilots.com gets the most traction, IMHO. I also think Curtis Dart does a phenomenal job running the DJI Phantom Facebook groups. Thank you for sharing. I’m familiar with most of these communities, but I’ve never heard of SkyPixel. I’ll definitely have to check it out! I don’t think I’ve ever actually use the phrase I’m at the end of my rope. Maybe I didnt understand until now what it really meant. But I’m at the end of my rope. I live on the land that has been in our family since Texas was a republic. We have a 170 Acres and have always enjoyed the solitude. I’m a night person I love the night sky. I have maintained a calendar for many years of approaching meteor showers. But the night sky doesn’t even look like it used to just two years ago. I am inundated day and night with hobbyist uavs . They use our acreage like it is their personal UAV Six Flags Over Texas . Every time no matter the hour of the night what I open a door and a ray of light splits the darkness these uavs come rushing up. I’m not talking about flying over my home and my property although they do that as well I’m talking about flying up to my home and swaying to a stop to hover over my house and me as I stand in the yard and look up. There’s not one or two or three there are dozens. They all have their lights on at first and then slowly turn them off are down to where they think they are invisible and can covertly slip up on me. But I’ve gotten very good at spotting them. May I tell you what hobbyist drone enthusiasts have taken from me while they are having fun in the sky. They have taken away my feeling of security on my property as I don’t know who they are or what they’re doing or why they’re doing it. They have taken away the therapeutic enjoyment of gardening, washing the car or even making love on the trampoline at night. They have taken away the the lifetime of pleasure and necessity to commune in privacy with my God and the miracle and beauty of the stars. They have robbed me of that one place on the entire planet where I can go and leave the stress and anxiety of the day at the doorstep of my address. The right to privacy, the right to be left alone, these are all the things that have been taken from me by the hobbyist Drone operator in his Pursuit to have fun. I stay trapped in my house now not necessarily out of fear but out of what I know will be the rush of anger I will feel when I step out my door and witness uavs rushing up to hover over my head and to watch as they troll the night sky looking for anything to zoom in on. I see them shine a bright light down onto our vehicles, tractors, checking out our personal property. There’s nothing special about me or my home that wouldn’t instigate the traffic log of drones always jockeying for position around my house. In my wildest dreams I never could have thought that there would come a day when a device equipped with a camera that can fly over my house, turn off their lights and spy on me covertly. that I become the night time Entertainment for someone I don’t know that is on my property line or perhaps even on my property, a car, or from a laptop in the comfort of their home. My anxiety and stress level are off the charts there’s no telling what my blood pressure is. And I fluctuate between tears and fits of anger at the helplessness I feel. Why do they do this. I can’t believe that they are so unfeeling that they imagine how it would feel to them. What do you suggest? Please can you make a video recording of these events, a video diary, and share them on our website? I’ve just started a new one http://www.droneflightforum.com Only just kicked off so please feel free to join. I’m very happy to accomodate the needs / wants of members.